Ted Koppel performed a great service to his country in telling Sean Hannity to his face that he was “bad for America.” Hannity can simmer in his lingering anger over the widely shared clip that originally aired on CBS Sunday Morning as he sees fit, but it does not absolve him of the sins that led Koppel to make the statement. Hannity may be a successful cable host, but he is also a proven liar and a man known to make comments that ping-pong back and forth between fatuous and flat-out prejudiced. Considering the offended party’s unusually high level of self-importance, it’s unsurprising that a serious newsman made a pretend one lose it over criticism. 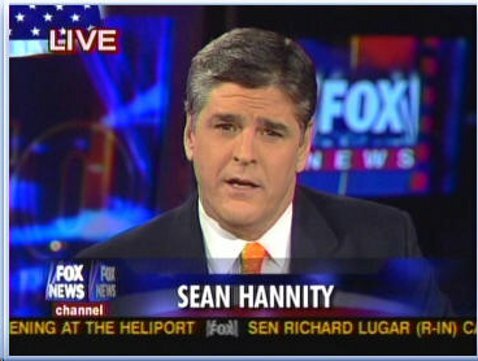 Even so, though Koppel may have been correct in his assessment of Hannity and the damage that political opinion in news media is capable of, the segment itself was rooted in a false equivalence with respect to political opinion shows. Koppel, like many, continues to operate from the unfortunate space that all opinion shows are equal. 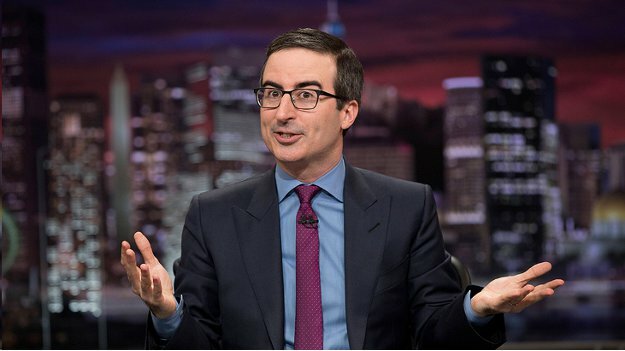 However, the segment compares sound bites from John Oliver, who hosts a late-night cable political comedy show, and Michael Savage, a conservative radio host who fancies himself an activist—and in doing so, it is helping to perpetuate a false dichotomy. Oliver is a comedian who opines on politics, but his commentary is often well researched and, by and large, factual. The same goes for Samantha Bee and Trevor Noah. Those are folks whose first job is to be funny, not necessarily to inform. Nonetheless, a decade ago, a study by Pew Research highlighted that viewers of Comedy Central’s The Daily Show (then hosted by Jon Stewart) and The Colbert Report held the “highest knowledge of national and international affairs while Fox News viewers rank nearly dead last.” So even if, seven years later, a separate Pew Research study noted that many people continued to identify those shows as legitimate news sources, other studies have shown that people do actually learn something. What are people learning from Tomi Lahren or Rush Limbaugh other than that many people miss the days of water fountains with access based on skin pigmentation? Other studies have shown that outlets such as Fox News and MSNBC have a negative impact on people’s knowledge of current events, but I question anyone who would argue that Rachel Maddow is like Tucker Carlson, that Chris Hayes is anywhere near Bill O’Reilly or that Joy-Ann Reid mirrors Megan Kelly in any way. The only person on Fox News worth listening to in terms of actual news is Shepard Smith. That doesn’t mean Fox’s opinion hosts are incapable of educating their viewers while sharing their respective ideology, but they opt not to. It’s not so much that opinion programming on news networks is the problem as it is that we are bombarded with uninformed opinions—primarily because of a conservative media that’s much more invested in playing into the racial and gender biases of its viewership than in educating them. When it comes to problems with news media, cries that it’s too opinionated read as an oversimplification. What’s MSNBC’s problem? It could use far more color and a bit more youth. Oh, and in the case of the 6 p.m. hour on its Monday-to-Friday lineup, stop trying to make fetch happen with Greta Van Susteren. Simply chasing after old Fox News watchers isn’t going to cut it. Soon enough, NBC will learn that with Kelly. Shoutout to Tamron Hall. As for Fox News, well, drown that network and hand only Smith a life raft. That station is nothing but a dedication to the white establishment and willful ignorance. It is insulting to compare its mythology-peddling with people who bother to actually know about a given issue before commenting on it. Now, with CNN ... first, join me in prayer. Michael Arceneaux is a writer who wants a TV show that'll allow him to recite UGK lyrics with Beyoncé. He's working on his first book, "I Can't Date Jesus," for Atria Books.